Dr. Hodge is a pastor's friend. He has 40+ years of ministry experience. Dr. Hodge is currently helping a church in restoration in Fort Pierce, Florida. Dr. Schindler has pastored for over 40 years. He also founded the Northeast Baptist School of Theology. A pastor to preachers, Dr. Schindler is currently traveling the country and around the world. He carries with him a burden for REVIVAL. Dr. Berg has been in ministry for many years. He has been a pastor, assistant pastor and missionary. He is currently helping a church in transition in Maryland. 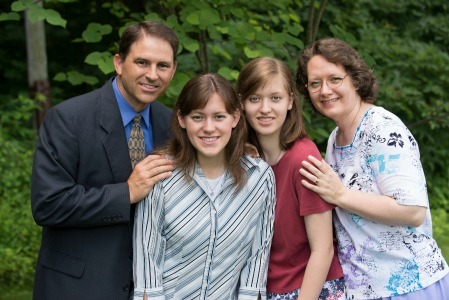 Dr. Holtsclaw and his family have a burden for struggling churches and church plants. They are currently on deputation while they are helping churches. Their ministry focuses on church growth and music in the church. Pastor Hodge is currently pastoring a new church plant in the south eastern Pennsylvania area. Pastor Hodge has a heart for new church plants. Bro. McHugh is a soul winner. He has the calling of God on his heart to go out and win souls to Christ. He helps churches by holding soul winning and visitation training seminars. He also helps new church plants by going out soul winning and seeing people saved and added to the church. Missionaries to Mongolia. Bro. Kruchkow and his family are currently on deputation raising support for a printing press in Mongolia. Once they have the press they will be able to print Bibles, Gospel tracts, and reach the Mongolian people and Chinese to Christ. Pastor LaFave is currently pastoring the Calvary Baptist Church in Whitmore Lake, Michigan. Dr. Milam and his wife are active American missionaries. Currently, they are serving in the BATA printing ministry and radio ministry in Fort Pierce, Florida. Bro. Wheeler and his family have a heart for souls. They desire to help churches to become productive in winning souls for the Lord. Bro. Wheeler desires to teach soul winning training seminars and has helped our local church plants by practicing what he's teaching.